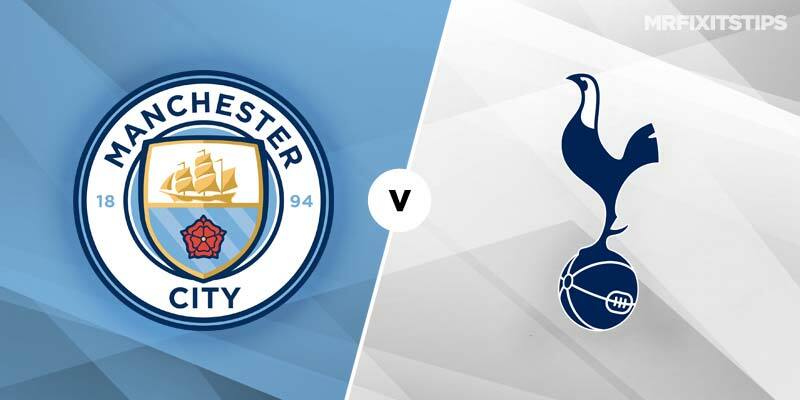 MAN CITY'S Quadruple bid is at risk tonight as they bid to overturn a 1-0 first-leg deficit against Spurs in the Champions League quarter-final. Last week's defeat was a rarity for a City side who'd won 21 of their 23 previous games in all competitions. They bounced back with a vital 3-1 victory at Crystal Palace in the Premier League and can gain revenge on Mauricio Pochettino's men tonight. Spurs have key players missing, with Harry Kane joining Harry Winks and Eric Dier on the injured list while Dele Alli and Erik Lamela are also fitness doubts. The Londoners were thumped 4-1 at the Etihad on league duty in December and another City win is likely, while the 4-6 for them to qualify should also land although keeping a clean sheet could be crucial. The Brazilian isn't afraid to take one for the team and has three bookings in seven Champions League outings this term as well as topping City's crime count in the Premier League with five yellows. Back the Brazilian to be carded at 9-4 with bet365. On the away side, left-back Danny Rose was carded in the first leg to make it one booking from two Champions League starts this season. The England international will have his work cut out against City's attacking threat down the flanks and has five bookings in his last 15 games for club and country. He's worth taking at 6-4 to add to that tally. At centre-back, 22-year-old Davison Sanchez faces a daunting test trying to keep out Sergio Aguero and Co. The Colombian defender has only been booked five times in 38 appearances this season, but is prone to lapses in concentration and worth a punt at 4-1. The last eight meetings of these sides at the Etihad have brought over 2.5 goals but it could be a cagier affair this time with City knowing if they concede they'll have to score three to go through. Spurs defended for their lives in the first leg and it could take a while to break them down, making the 20-21 for most goals second half a tempting proposition. City flier Raheem Sterling is having the best season of his career having added devastating finishing to his lightning pace. His double against Palace on Sunday made it 27 goals in 45 appearances for club and country this season and the 20-21 for him to get on the scoresheet here has a fair chance.